Right now we’re pouring the 2015 Roll Ranch Syrah at the tasting room. It’s terrific—full throttle and explosively flavorful, but in a way that’s nimble, earthy and fine grained, too…It’s also the 21st release of the wine. Roll Ranch always been the most beastly wine crafted at The Ojai Vineyard. Looking at the 2015, twenty years into popping corks of this wine, you see a different kind of beast though. One that reflects twenty years of work perfecting warm-climate Syrah from a very special vineyard. It’s not the easiest proposition making compelling, complete Syrah from a warm climate. The French figured that out. In the more northern reaches of the Rhone Valley, heading into the interior of France, the weather shows a cooler continental climate and Syrah reigns king—its fruit comes with lots of high toned peppery, floral lift and savoriness that is captivating and exotic. It’s generally unblended besides discreet smidges of Viognier in small percentages. In the southern Rhone the grape’s charms clump around fruit. And fruit’s great, but generally you see the mystery expressed in the northern Rhone replaced by a more direct, simple nature that benefits from blending with hearty proportions of other grapes. With rare exceptions, you can say that about most places where Syrah ripens quickly and easily. 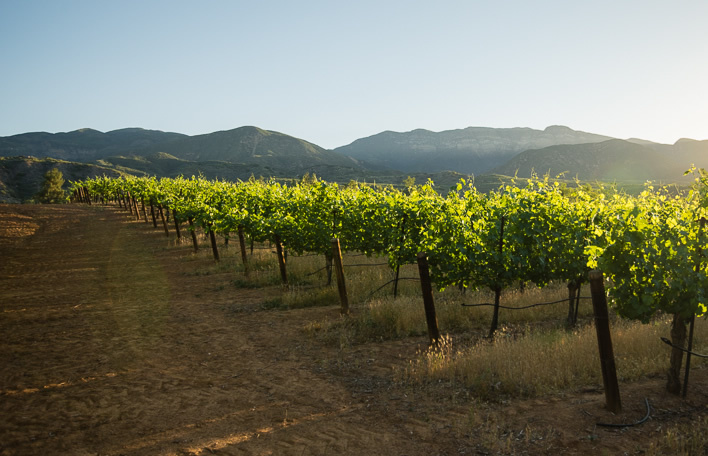 Roll Ranch used to express more of that nature—soft, gushing, high-octane fruit with mouth coating tannins. You see though, tasting through vintages of the wine, two factors driving what makes Roll Ranch so excellent these days: mature vines (planted own-rooted in 1993) in a mysteriously endowed vineyard, and Adam’s restless experimentation in the cellar. Oddly, starting around 2005 we started getting really healthy low pH values with our Roll Ranch Syrah (that’s to say, acidity levels that get winemakers giddy). It’s not that the climate has trended cooler (ha!) or that the earliness of our picking commands much attribution. Getting densely flavor packed Syrah at a pH of 3.3-3.5 from a warm-climate vineyard is out of the norm—factors driving exceptions elsewhere, like limestone-heavy soils or intense diurnal swings in temperature, aren’t at play here. We have our theories as to why such a fresh edge presented itself here—maybe the virginity of the land helps? 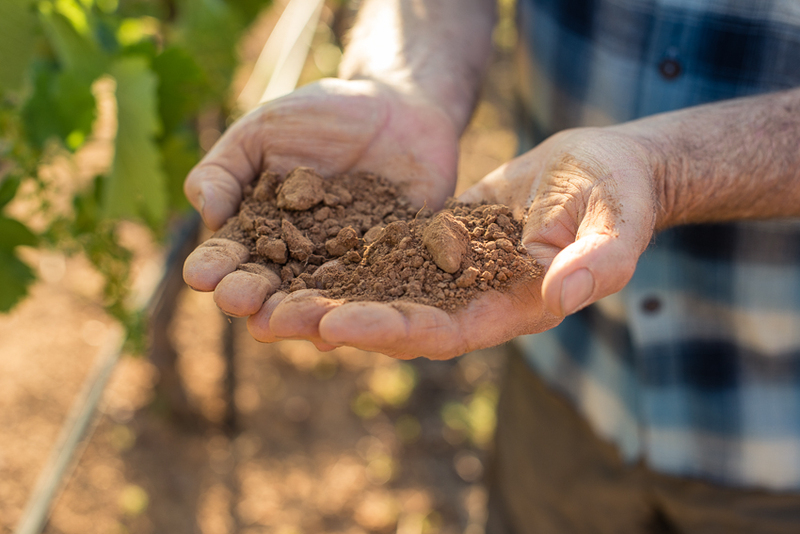 Without history of other crop production or rangeland usage, and eschewing chemical-based fertilizers over the years, the potassium in this rocky clay soil is relatively low. Or, maybe the fact we thin the crop so low we’re able to achieve ripe flavors at a curve ahead of acidity depletion? Or maybe the vines are just more mature and more deeply rooted so their fruit became better? The best guess is probably an “all of the above” answer. Tasting through years of this wine, there’s more food for thought tasting 2010-2018 compared to doing the same backward from 2009. On one hand the powerful core of fruit and earthy mocha is consistent throughout. On the other hand, things change a bit starting with the 2010. In the cooler 2010 vintage this Syrah came in at 14.5% alcohol, a bit lower than the 15-15.5 this big guy was in years previous. Adam decided to pick at that same sugar ripeness going into a string of warmer vintages, which was risky: in a site with the shortest veraison (period of grape coloring) picking earlier risks making an anemic wine. On a hunch Adam decided there was probably enough “there” there at 24-25 brix, which became the new norm. And then, with consistently high acidity, the wine seemed fit for a big pivot: whole-clusters, and lots of them. Roll Ranch used to show such dominating fruitiness, and punching down more gave the wine chewy tannins that took years to resolve. Stem inclusion (to the order of 60%) fixed both those issues: while still dense with fruit, the in-berry carbonic fermentation helps that fruit float rather than plod, and stems lend an overlay of spicy and herbal complexity. 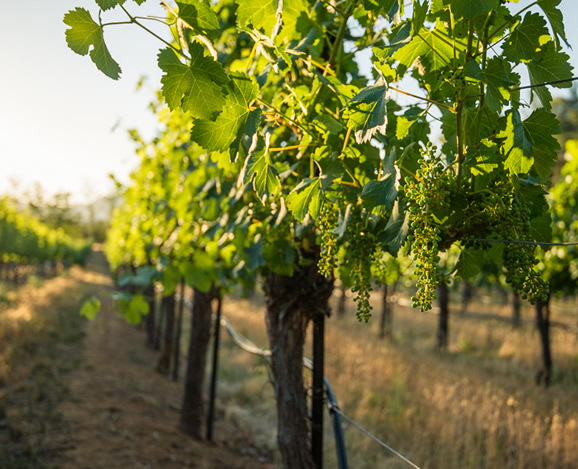 Also, at warm and sunny Roll Ranch, stems give tannins that are fine and mouth-coating, without the grit and hardness we used to accept from the site. They also make it so we have to pump-over instead of punching down the cap. It’s a gentler approach to extraction, and the wine is better for it. “Better” is often a useless word in describing wine. It’s generally subjective—a funky and tannic wine might be positively rustic to one person, while to someone else it’s a clunker. Looking at Roll Ranch Syrah though, the enhanced expression of vintage over recent years is something to consider. To me though, it’s versatility that really makes this a better wine. Drinking young Roll Ranch used to pretty much mandate pairing it with a big-ole Fred Flintstone slab of meat. Nowadays, you find the 2015 has plenty of guts to stand up to the most marbled pairing, but it’s a delicious drink on its own: the powerful fruit core is there but kept buoyant with beams of acidity and streaks of spice and herbs wafting around. While we’re pouring it I like having a final sip of the Roll as a shift cap before leaving the tasting room for the day. Consensus is with me; after pouring the 2015 for a few weeks, it’s clear that the wine is still a big, dark beast that gives people great raw pleasure. There’s grace though (and minimal new oak), with fresh fruit, floral lift and fine tannins keeping the wine interesting instead of excessive. And so, the 2015 Roll Ranch seems to make the case that Adam has perfected warm-climate Syrah. After decades of thought given to what defines ripeness, plus more recent years of pushing the envelope with extraction and pulling back on new oak, we have something that tastes unabashedly Californian and filigree-intricate at the same time. And that’s done without any complicated assemblage or any makeup lathered on in the cellar. It’s just a beautiful wine, thanks to a special vineyard and the bravery to be understated— to me it’s just right.